Georgia is a "found" dog. My nephew Mark found her in the wilds of -- Guess where? -- Georgia! 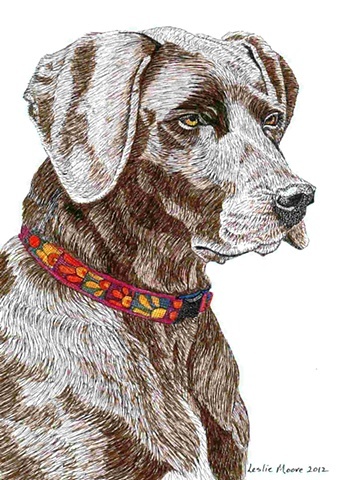 She's a German short-haired pointer, chocolate brown, with a star on her chest. She may have been a bird dog. Now she's a family dog, and a star to those who love her.